Newly disclosed documents reveal former Trump campaign chief Paul Manafort secretly worked to benefit Putin. Paul Manafort Secretly Worked To Influence U.S. Politics, Business, Media To Benefit Putin. In an explosive new expose, the Associated Press revealed on Wednesday that Paul Manafort, who ran Trump’s campaign from April to August 2016, secretly worked for a Russian billionaire to “greatly benefit” Russian President Vladimir Putin’s interests a decade ago. 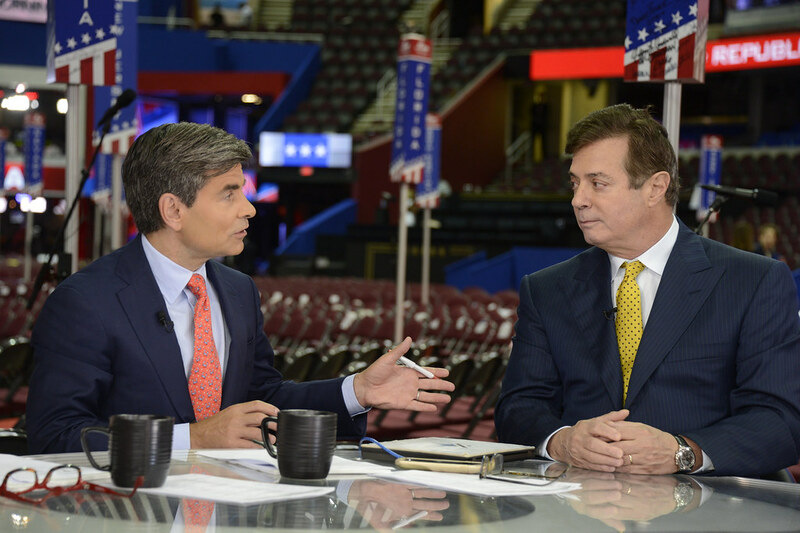 The bombshell report appears to contradict Manafort’s repeated denials that he worked to advance Russian political interests. The longtime lobbyist and onetime partner of Trump ally Roger Stone, was forced to resign as Trump’s campaign chairman after multiple reports revealed his work for deposed Ukrainian president Viktor Yanukovych and his pro-Russian Ukrainian party, including allegations (denied by Manafort) of $12.7 million in undisclosed payments made to Manafort. FBI Director James Comey on Monday confirmed the bureau is probing Russia’s meddling in the 2016 race, including possible collusion between Moscow and members of Trump’s campaign. The bombshell revelation has brought new scrutiny to Manafort and other former Trump campaign officials with possible ties to Russia. These revelations come in the wake of a report that Manafort hired a crisis communications firm after other allegations of him receiving Russian payments emerged. The New York Times on Monday night reported that documents had surfaced apparently showing that the Party of Regions — Yanukovych’s political party — funneled $750,000 to Manafort through an offshore account, listing it as a payment for 501 computers. The documents, released to the Times by a member of Ukraine’s parliament, have not been independently verified by other media outlets. Serhiy Leshchenko, that politician, said the 2009 invoice is an attempt to hide the payment for work Manafort did for the pro-Russia political party. Meanwhile, the White House is attempting to distance themselves from Manafort, with White House Press Secretary Sean Spicer describing Manafort as someone who “played a very limited role for a very limited amount of time,” during a Tuesday press meeting.